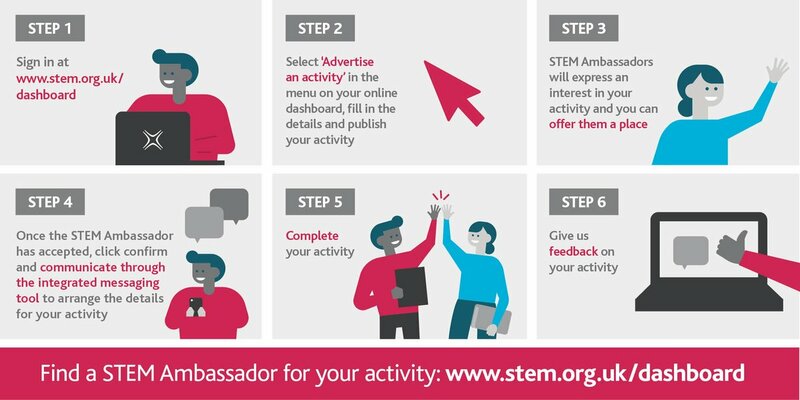 If you are looking for STEM Ambassador support, with STEM Learning's new Digital Platform it's now easier. To request a STEM Ambassador, please click HERE to register as a teacher or organisation. If you already have a registered STEM Learning account, please log into your account to make the request.